Experience the Breathtaking view from 124th Floor of Burj Khalifa. Enjoy Adventurous desert safari in Land Cruiser. Experience the world’s fastest roller coaster ride in Ferrari world, Abu Dhabi. Enjoy the Monorail Ride at “Atlantis -The Palm”. Arrive to the delightful– a land of surprises surrounded by mysterious deserts and sand dunes, a complete destination in itself. On Arrival proceed to City orientation tour of Sharjah which includes, Faisal Mosque, Perl Monument, Sharjah Islamic university and Quran roundabout. Then we drive on Sharjah Corniche followed by visit to Blue Souk Shopping. Later Enjoy a comfortable drive to your hotel & check – in at the hotel. Today we visit Bollywood Park which is a first theme park in World dedicated to Bollywood. Here you can experience Action, adventure, romance, comedy, music, dance, flavor, emotion & stunts performances. Overnight in Hotel . After breakfast proceed for City tour of Dubai which includes the Jumeirah Mosque, Sheikh Zayed Road. 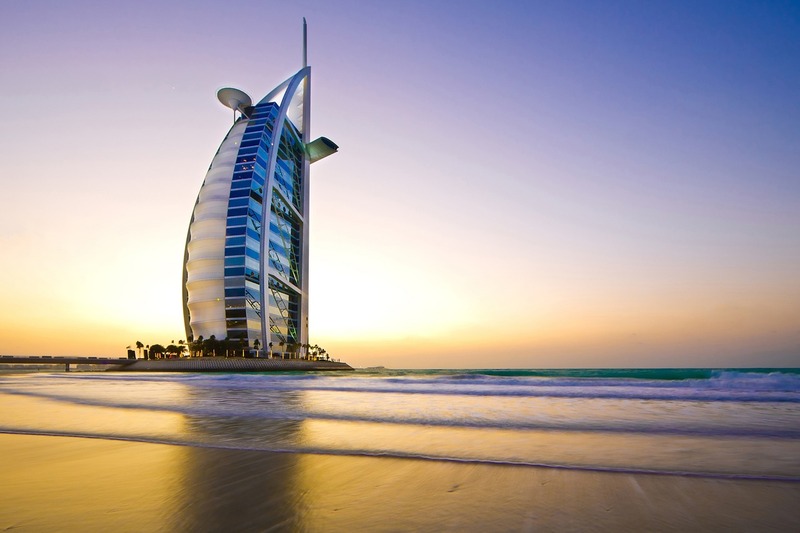 Visit the Dubai Museum presenting the traditional way of life of Dubai.Take photo stop at Atlantis Hotel – the first resort built on the artificial island, Burj Al Arab – tallest hotel in the world, tallest building in the world – Burj Khalifa. Get Experience of the Monorail Ride. Later visit Dubai Mall. 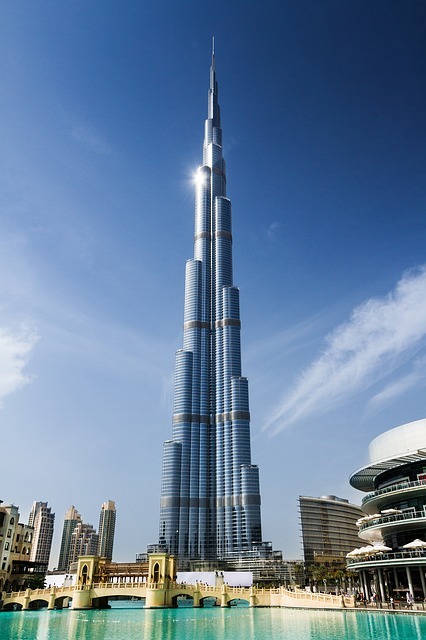 Visit 124th Floor of Burj Khalifa and get amazing bird view of this city from tower’s 124th Floor. Rest of the day is free for shopping & individual activities. In the evening enjoy the Dhow Dinner Cruise – a traditional wooden sailing vessel which sails from the Heritage village, relax and experience the beautiful atmosphere of the city by night. Overnight stay at hotel. (L,D)Overnight stay at hotel. Enjoy Breakfast, later the day is free till afternoon for shopping and individual activity. After lunch enjoy the most popular Desert Dunes Safari by a land cruiser and the exciting Belly Dance show with dinner. Overnight stay at hotel. After breakfast proceed for Abu Dhabi & visit the Sheikh Zayed Grand Mosque. This architectural work of art is one the world’s largest mosques, with a capacity for an astonishing 41,000 worshipers. After Lunch visit the Ferrari World – explore this largest indoor theme park and feel the excitement of each attraction, all geared towards ultimate family entertainment. Later proceed back to Dubai enjoy a Dinner at an Indian Restaurant. Overnight stay at hotel. After breakfast Check out from the hotel and Mall. Later proceed to the airport for your return flight.